When talents as formidable as Michel Camilo and Tomatito get together to make music it is an event. These two distinct voices from different musical worlds reunite on Spain Again, a scintillating musical conversation between two masters. Camilo, a brilliant pianist and prolific composer, is renowned for combining rich jazz harmonies with the Caribbean flavors and rhythms of his native Dominican Republic. Discovered at an early age by Paco de Lucía, Tomatito is the premier flamenco guitarist of his generation and has accompanied Spain's greatest flamenco singers including the legendary Camarón de la Isla. Navigating the boundaries of jazz and flamenco, Camilo and Tomatito create an experience that is both unique and unforgettable. It’s no exaggeration to say that musically, Camilo and Tomatito come from two very different worlds. Camilo, who grew up in the Dominican Republic but has lived in and around New York since 1979, is classically-trained as well as a straight-ahead acoustic jazz pianist who incorporates a wide variety of Latin and Caribbean elements and has cited Chick Corea, Keith Jarrett, Oscar Peterson, Bill Evans, and Art Tatum as some of his main influences. Tomatito, however, lives in his native Spain, where he was born into a family of Gypsies and is recognized as one of the country’s top flamenco guitarists. But as different as their backgrounds are, Michel Camilo and Tomatito also have a lot in common. Camilo loves flamenco, and Tomatito is a major jazz enthusiast. Both appreciate a variety of Latin music—Camilo’s work, in fact, has underscored his love of Afro-Caribbean music, as well as Spanish flamenco, Afro-Cuban salsa, Dominican merengue, Brazilian samba, and Argentinean tango. 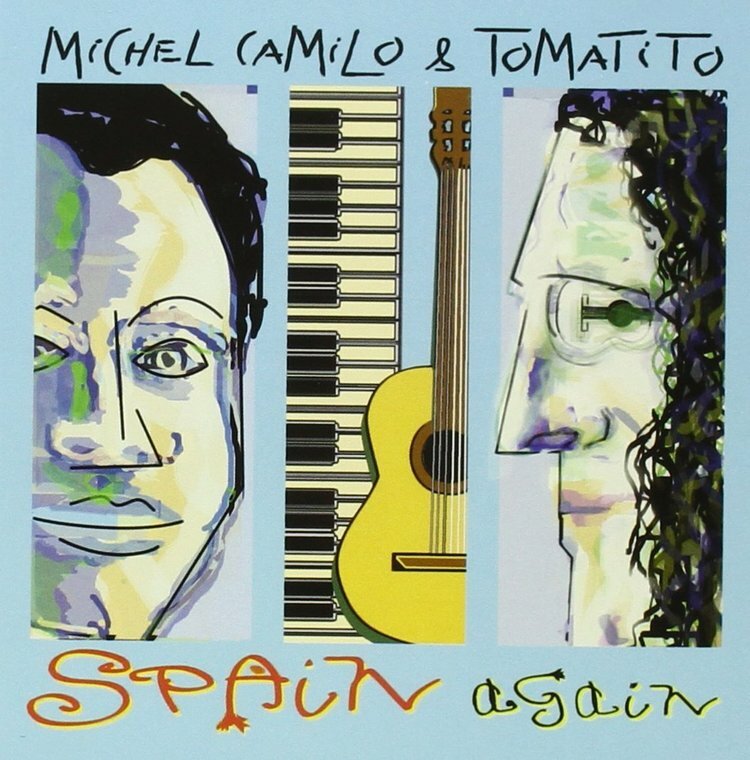 Camilo and Tomatito have known each other since the early 1990s, when they met in Spain at a recording session for the nuevo flamenco group Ketama. They quickly became friends, but didn’t start performing together until 1997, when the Barcelona Jazz Festival asked them to perform a duet tribute to the late Spanish hard bop pianist Tete Montoliu. With over 40 concerts performed together by the summer of 1999, a studio album was inevitable. So, in August of that year, they traveled to a studio in Stamford, Connecticut to record Spain. Putting these two instrumentalists together created an intimate duo that has been an exciting experience for both of them. Throughout the album, Camilo and Tomatito enjoyed an undeniably strong rapport. In July 2005 the North Sea Jazz Festival in The Netherlands invited them to perform an exclusive sold-out concert and after this wonderful reunion they both agreed it was time to explore the second chapter of their shared musical adventure. It was their close friend and filmmaker Fernando Trueba who gave them the title for the new album: Spain Again. Spain Again marks the reunion of two good friends who decided to play together, see how far they could take it and see how much they could discover about themselves. The new album includes their original compositions, a Tribute to Piazzolla, jazz standards and a special collaboration with award-winning singer/songwriter Juan Luis Guerra.